In the 11th letter in the series, Grandma and Grandpa celebrate Valentine's Day. 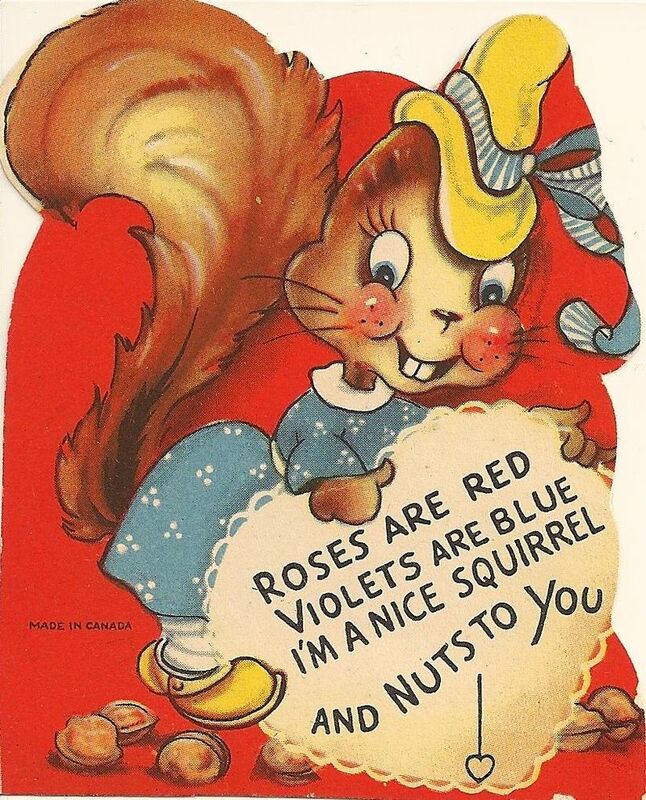 He sent flowers, and she sent a card, probably similar in style to this one. Grandpa mentions a connection between the Scranton plant and the Paterson one, which makes me want to research what company employed him. Looks like Fred has his work cut out for him with designing! I'm assuming that he was a pattern-maker. My grandfather seems to be managing the inventory. When I was organizing and archiving these letters, I unfolded them and laid them flat between pieces of acid-free cardboard. I placed books on top of the pile to gently allow them to lay flat. This letter seems to resist being flat, so I just let it do its thing as I photographed it! By the time you receive this letter you will also have received the flowers I had sent to you, my sweetheart. I hope and trust they conveyed something of the feeling I have for you, but which I could not express as I would have liked to, because we are so far apart. I received the valentine you sent, this evening. You could not have chosen a more appropriate one for the occasion. I like it very much and I most surely will treasure it. My cold has gone by now and I won't care at all if I do not get another. I hope you didn't catch one from me. Yesterday was the nicest day since I have been here. The sun was shining brightly all day long and the weather was spring-like. Today the weather is quite different. The sun did not shine all day and it started to snow late in the afternoon. I hope the weather doesn't become miserable again because I generally feel like the weather except when I am with you. Fred Eickenberg has to do his designing on a table in the super's private office, until they fix up a room for him in the old clubhouse. As a result he is handicapped and can not turn out the work he would like to. Mr. Steiner our old superintendent at the Paterson Mill is going to be here tomorrow and he will no doubt leave us with a lot of work to be done. I expect him to ask for the Paterson Inventory Shuts which I have just finished entering and which I have to recheck.